"The Huffington Post"’s Newspaper is adviced his readers to visited 9 places in this world before dead. 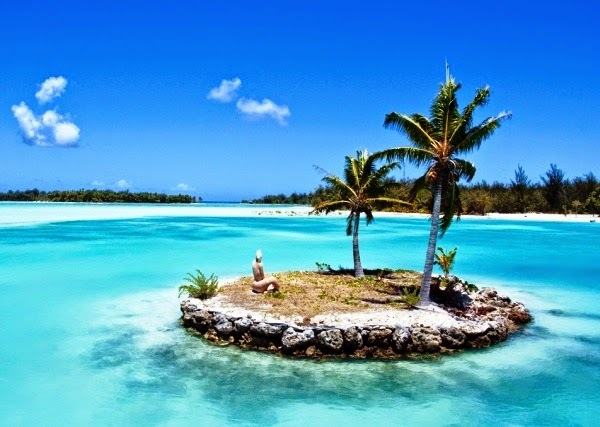 - the first place takes by Bora Bora Island, one of the Leeward Islands in French Polynesia in the Pacific Ocean. - In the second place, dissolved the Kingdom of Denmark is a Scandinavian countries, located in the north of Europe. - Italy occupied the third place. Italy is a country located in the southern part of Europe in the Italian peninsula, including the largest islands in the Mediterranean Sea, two of Sicily and Sardinia. - Scotland and other parts of the United Kingdom came In fourth place, which is located in north-west Europe. - In fifth place dissolved Santorini, known officially as Thira. It is an island in the southern Aegean Sea in southeastern Greece. - Lebanon, ranked sixth. While London came in seventh place is the capital of the United Kingdom (UK) and its largest city and is located on the River Thames in southern England. - In eighth place Guadeloupe that exist within the group Lesser Antilles, stretching in an arc in the Atlantic Ocean and the Caribbean and is subject to France. - The ninth place Vnaltha Hawaii, is an American state in the form of an archipelago of islands located in the Pacific Ocean. If you know any place better than this so you thing tell us on comment.